It's the age-old question that ALL homeschoolers get asked. It's right up there in popularity to "What about socialization?" These five little words pose quite a conundrum for this unit study-Charlotte Mason-living literature-Thomas Jeffersonian-Montessouri-notebooking-slightly textbooky-ECLECTIC momma. Where do I even begin in explaining myself? Except to say that I do not, personally, believe there is one method of education that is perfect for EVERY subject...for EVERY child...within EVERY family. Therefore, I don't think there is any ONE curriculum that fits the needs of my family. I think they all have some excellent qualities and usefulness, but an equal amount of ineffective aspects. I choose to pick and choose...I choose to exercise my right to tailor my curriculum to suite our very unique needs. That being said, if I had to narrow our schooling method down to one choice, I would consider The Unlikely Homeschool to be mostly Living Literature based...using REAL books, both fiction and non-fiction, as the core of our instructional materials. Living Literature encourages a life-long love of learning. Once a child learns to read, he/she can read to learn. This method of education establishes an independent form of learning. A child who can read can learn just about anything he/she chooses without needing the assistance of mom to plan a fun unit, a textbook to dictate subject matter, or an elaborate hands-on activity to reinforce the material. Living Literature promotes exploration of a particular branch of study. A topic is not limited to just a paragraph or two, as in the case of the textbook approach. If a child has a natural interest in volcanoes, he/she can read countless books about volcanic activity and never be forced to move on to the next topic simply because a textbook dictates that they must. Living Literature stories are engaging because they are written by experts on the subject. Passionate writing can only come from a passionate writer. Textbook authors write on a myriad of topics and may or may not have a significant amount of interest in most, if any, of the subjects. Passionate writing breeds passion from a reader. And isn't PASSION a natural catalyst for the learning process? A living literature approach is easily adaptable to multi-level learning. I have five kids. It would be virtually impossible to teach five different topics for every single subject. There would not be enough hours in the day. By learning with literature, every child can be exploring the SAME topic but be reading a REAL book at his/her level. A living literature approach can be a natural extension of all the other methods of teaching/learning. Great books can be added to enhance a unit study, information from a textbook, a hands-on project, etc. Living literature can teach a child "how" to think, not "what" to think. By reading a multitude of books on a subject, a child can get many perspectives/opinions on the same subject and make an educated assumption/conclusion about the given information. Reading quality, well-written works will ALWAYS encourage good writing and communication skills. I believe that teaching great language skills should be THE MOST IMPORTANT academic goal for any homeschool parent. Math, science, history...are all worthwhile endeavors. But, there is not a single life scenario that could not benefit from good oral and written communication skills. By reading superior literary works, a child can learn communication skills by a good example. A living literature approach is budget-friendly. A library card is the only requirement. Living literature promotes natural learning. While reading about one topic, a child might come upon information about another topic of interest...which might eventually lead to a third topic to study. It is a natural progression of thought instead of a forced sequence, as is the case with a textbook style of learning. I believe Christ gave many wonderful endorsements of living literature in Scripture. He was a natural storyteller and often used parables to teach a lesson. A parable is the verbal counterpart of written literature. 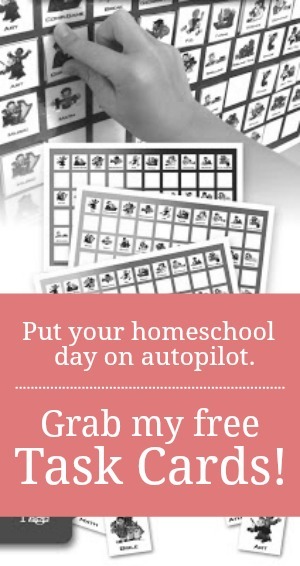 Are you a Living Literature Homeschool? If not, what works best for you and yours? I love all your reasons- especially that writers who love their topic write with passion. It is so much better to learn from a passionate book than a dully-written one! Excellent reasons for Living Literature. Sounds like a fabulous way to instill the love of learning. Thanks for sharing your experience. You sound a lot like us as far as your methods. I guess we are a living literature homeschool too! Books are wonderful! Great post! I love this list. We love book too. 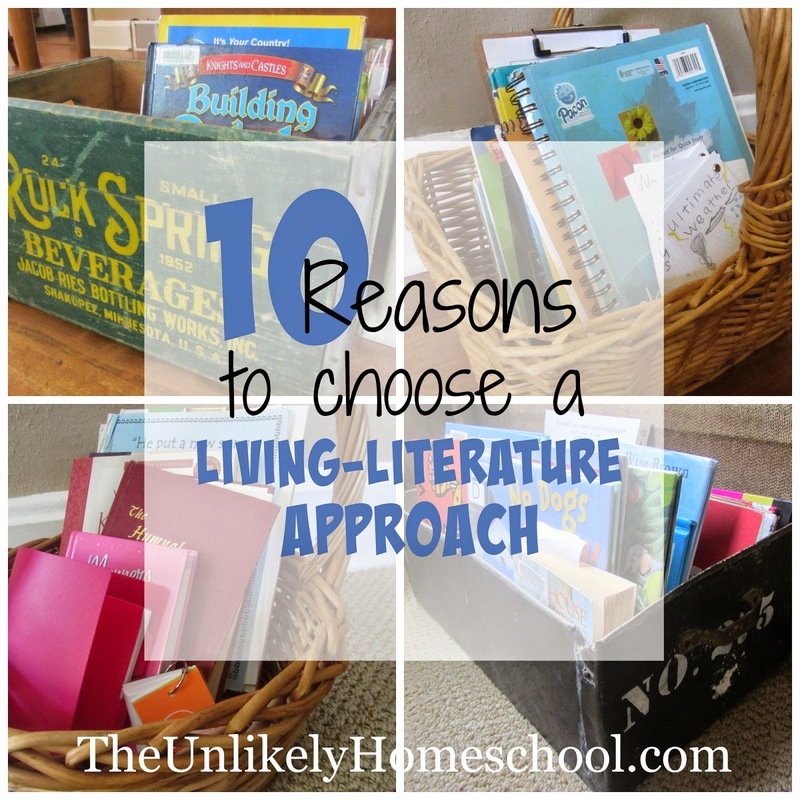 A great list and really good reasons to choose a living literature approach. It is worth every second sitting with a struggling reader and eventually watch them emerge and read on their own! I love seeing my children read and be engrossed, or research and discover for themselves. Great post and yes we LOVE living books...think it will be a life long quest to fill my shelves with them and get rid of the 'others'!! We have a few "others" that need to be weeded out too. This is us exactly. My children don't read yet, but I use this approach when I choose books to read. This morning, while my daughter (3) still slept, I read a couple books to my son (5) while I read, he had other books on his lap and even though they weren't related, he found a couple things to cross reference (maps.) It was cool to see his curiosity build and be able to provide him answers. When I homeschooled that is the method I tried to follow. I love this because I never thought of it working with many kids/different levels but see how great it would work.